The MINI JCW Team begins its season this Friday, January 29th, at Daytona. 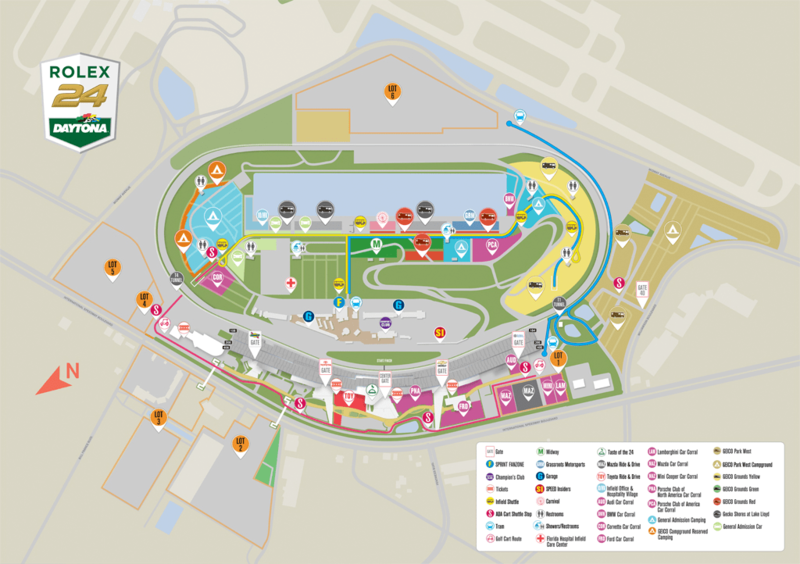 Here are some of the essential details to attending the race. Tickets are very affordable for the event. They are $20 for adults and kids 12 and under are But do yourself a favor and add on a Garage Pass for an additional $10. Parking is FREE in Lots 4 and 5, located outside of Turn 4. There we be a MINI car corral at the track but this is reserved for those that have registered for the MINI Trackside Patio Experience. Arrive early. There are a number of events going on all day. 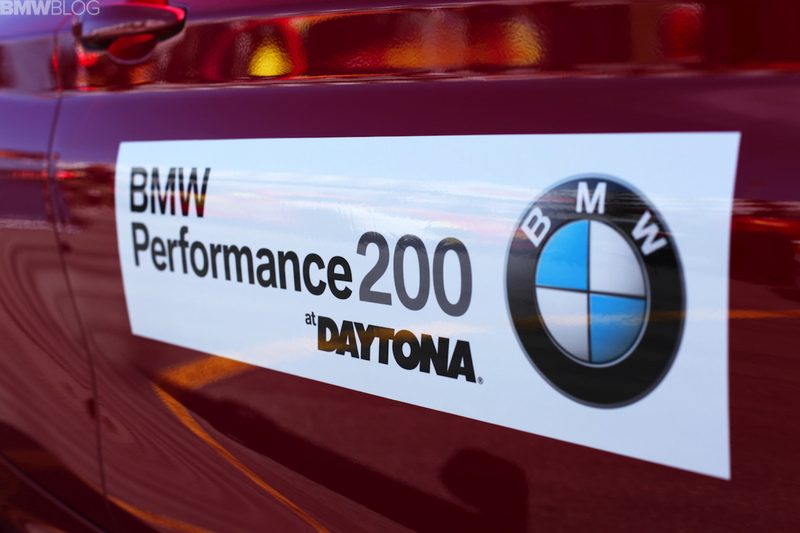 Including qualifying and practice sessions for the Continental Tire SportsCar Challenge, WeatherTech Championship, and Ferrari Challenge. 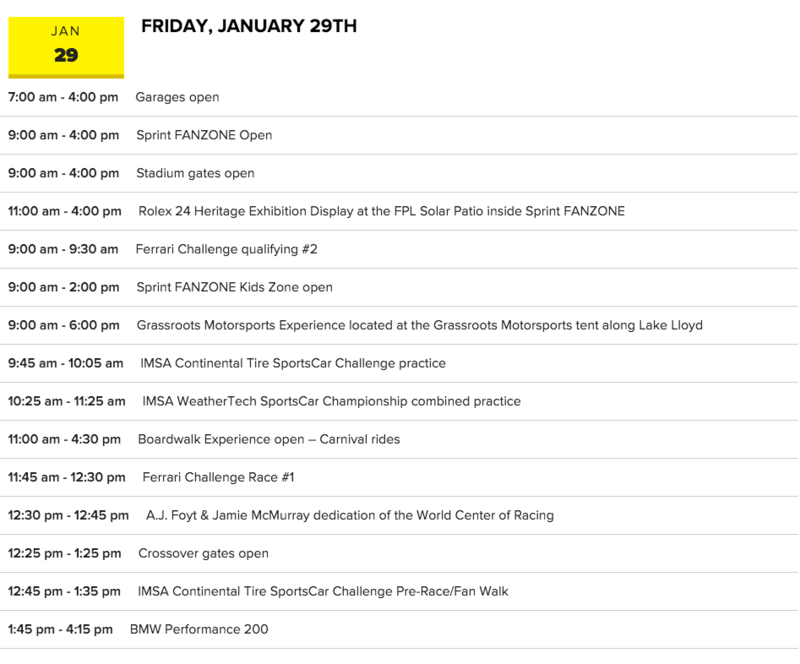 Check out the full track schedule in the image below. If you want to have a good view of the whole track head to the grandstands after the pit road fan walk. Find a seat high up as close to turn 2 as possible. 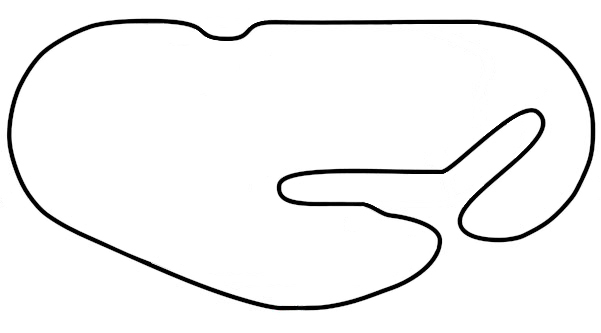 This location gives you excellent sight lines of the whole track, including the inner turns.